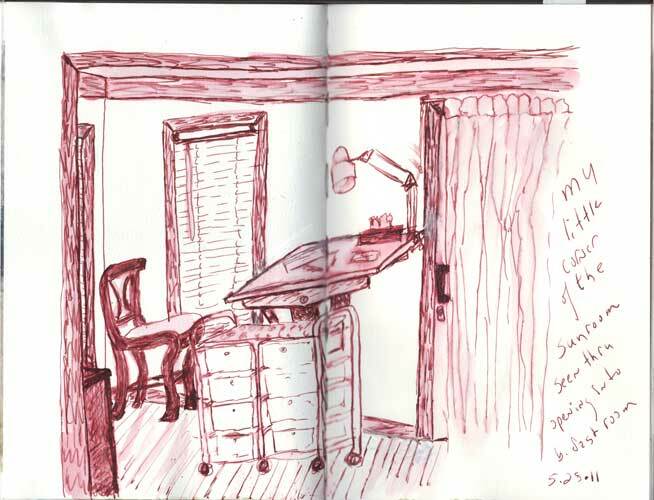 Every Day in May– EDM128, draw a view thru a doorway from one interior room to another. I didn’t really like this topic and put it off until late at night. I halfheartedly scribbled the view thru the walkway seperating our sunroom and breakfast/ hearthroom. This is my little corner for drawing with windows everywhere and bookshelves and rolling supply carts for all my art junk.